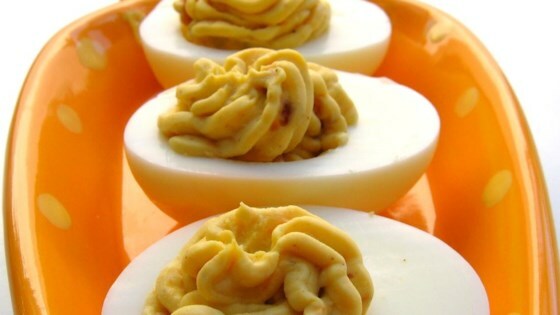 A spicy change to regular deviled eggs. Even though I LOVE bacon and cheese I actually prefer the basic ones better. I'm thinking the texture of the bacon threw it for me.